Need to renovate your home but don't have the cash or are low on home equity? There's a mortgage refinance loan you might not be aware of that could be just the ticket - the renovation refinance loan. 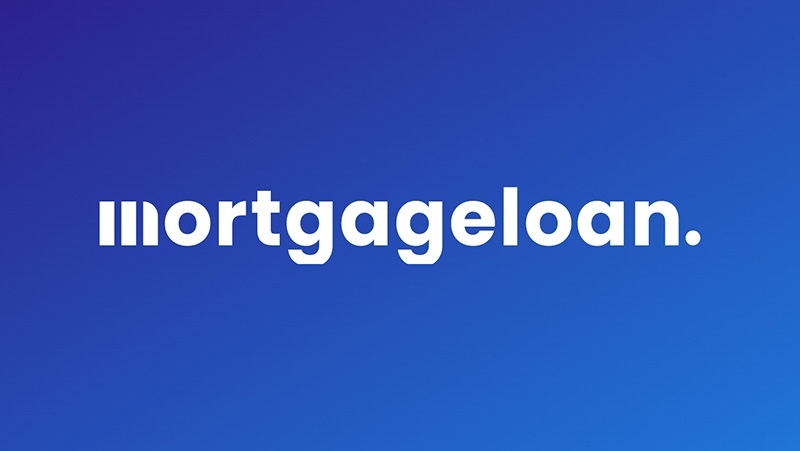 This hot new lending product could be the best way to renovate your new home without breaking your personal piggy bank in the process. "Location, location, location" is both a blessing and a curse to homeowners. Nothing compares to living in a great neighborhood. Unfortunately, it can be a nightmare if living in a great neighborhood means doing so in an outdated house. One solution is a mortgage refinance, which can help you cash out some home equity to pay for improvements. You can also try a straight-out home equity loan. But either of these approaches are tough if you've already tapped out most of the equity from your home. And they gets downright impossible if you want to make some substantial renovations that would take you beyond the current value of your house. Fortunately, you have another option - the renovation refinance loan. With the news that Americans' percentage of equity in their homes has fallen below 50 percent, homeowners are looking for ways to increase the value of their properties. The methods that are most popular are cost-effective home improvements. The erosion of home values has produced yet another troubling statistic. The Federal Reserve recently indicated that the percentage of equity in an average American home has slipped below the 50 percent mark for the first time since 1945. Declining home values throughout the country have sent prices in a downward spiral, and many homeowners have seen their home equity dip into negative numbers. If you're looking for the biggest bang for your buck, consider remodeling either your kitchen or bathroom. These tend to result in the biggest return-on-investment for homeowners. Unfortunately, they're also the costliest parts of the home to remodel. Start with simple cosmetic upgrades to these rooms, especially if you're looking to sell your home in the near future. Complete overhauls can cost tens of thousands of dollars, and will take years to recoup your investment. Naturally, you'll want to keep your home well-maintained and problem free. If you have exposed wood on the exterior of your home that appears to be rotting, for example, replace it or wrap it with siding. Letting bad conditions deteriorate will only cost you more money in the long run. However, when it comes to older appliances, don't upgrade unless it's absolutely necessary. Your old air conditioner might be a bit of a clunker, but if it's doing an adequate job, stick with it-especially if you're planning to sell the house in the near future. A prospective buyer won't place a premium on new appliances, so don't overspend in this area. If you'd like to make some large-scale renovations to your home, make sure that they won't hurt the long-term marketability of the property. Keep your improvements within the character of your house and neighborhood. For example, don't install a $75,000 home theater in your basement if your place is only worth $150,000. You'll never recoup the costs. Be careful that your improvements don't make your house the most expensive one in the neighborhood. It's better to be in the middle of the pack so that it's easier for you to sell. The sharp decline in the level of home equity is both a reflection of our sagging economy and the recent housing market slump. If you need to sell your home in the short-term, consider using some of these tried and true home improvement tactics. Because the market is jittery, this is the time to make level-headed home improvement decisions. In the long run, they'll add value to your property, and dollars to your wallet. The key to a renovation refinance loan is that the amount you can borrow is based not on what your home is currently worth, but on the projected future value of your home after the renovations have been completed. If your current home needs some work that will boost its value, these programs allow a lender to spot you the money (for a slightly higher rate than on a regular refinance) to make it happen. If you're purchasing an older place with the hopes of turning it into a dream home, you can use these same programs to obtain a purchase mortgage as well. There are two main renovation refinance mortgage products for low-equity borrowers - FannieMae HomeStyle Renovation Loans and the FHA 203k mortgage. Both take into account the projected improved value of your home in determining how much you can borrow. So if your home is currently valued at $230,000 but the improvements you have planned would boost its value to $280,000, you may be able to do a cash-out refinance of up to $280,000, provided the funds are used to make the improvements. The Fannie Mae program allows you to borrow up to 50 percent of the home's improved value for repairs and improvements, with no minimum loan amount. Unlike the FHA program, which can only be used for improvements to a primary residence, HomeStyle Rennovation Loans can also be used to renovate a second home or investment property. The various fees and mortgage insurance premiums will also likely be less than on an FHA loan. Credit requirements are stricter than on the FHA program, with a minimum FICO credit score of 680-720 usually required. The loan can be used to make either structural or cosmetic repairs, though cosmetic improvements must be permanent parts of the home (like kitchen cabinets or appliances). There are two versions of the FHA 203(k) loan. The full version has no fixed limit on how much you can borrow to make improvements, up to the FHA loan limits in your area, though the minimum you can borrow is $5,000. This is the FHA loan you'll need if you're going to make structural repairs. The other loan is the FHA 203(k) Streamline loan. This loan is limited to a maximum of $35,000 and can only be used to make cosmetic, rather than structural, repairs. But there's also less red tape involved and it's easier to get the loan approved. Both FHA 203(k) products are limited for use with your primary residence only, although that can be extended to include up to a four-unit residence, as long as you live in one of them. Depending on the lender, you can qualify for FHA loans with credit scores as low as 600-640. No bank is going to lend money based on a handshake and a verbal promise. They have specific requirements regarding the renovation refinance mortgage. First, you'll need to present complete plans of your renovation, including architectural drawings, unless you're doing cosmetic repair with the 203(k) loan. These will show the lender that your improvements change your house's value to the projected figure you have in mind. In either case, there will be a timeline within which the work must be completed, typically less than one year. These loans will have a slightly higher interest rate, due to the extra risk taken on by the lender. However, the first six months of interest are often folded into the overall loan, so you'll have no mortgage payment until construction is complete. Location is a key factor in home values, and it generally inspires mortgage refinancing for homeowners who want to stay in a good neighborhood. Now, with the renovation refinance loan, you can have a home that's every bit as desirable as the neighborhood it sits in.